Brief: To create a 3/4 ghosted technical illustration of the Nikon D7000 showing the prism, mirror arrangement and sensor. Lens also to be ghosted to show element layout. 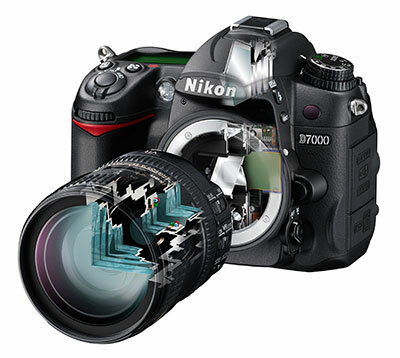 Solution: A supplied image of the D7000 body was used as the base to the illustration. The lens was recreated in 3d, rendered and the finishing touches and details were added in Photoshop as part of the composite and finishing process.